? Humphries, who later became church organist. 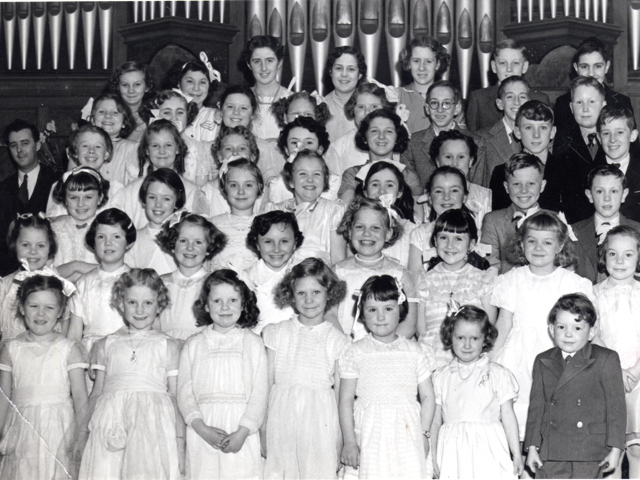 3rd row – 2nd from right – John Evans – my Dad’s cousin. Maybe others can add names to these faces………?